SMITH, CHARLES DOUGLASS, colonial administrator; b. c. 1761 in England, eldest son of John Smith and Mary Wilkinson; m. 1790 Frances Woodcock, and they had at least four sons and four daughters; d. 19 Feb. 1855 in Dawlish, England. Charles Douglass Smith’s career was less successful. He entered the 1st Horse as a cornet on 5 Oct. 1776 and transferred to the 22nd Light Dragoons as a lieutenant on 15 Dec. 1779. Apparently, as he later claimed, he served for a time in the Thirteen Colonies and became a captain on 20 Nov. 1782, but was placed on half pay when his regiment was disbanded the following year. On 1 Oct. 1795 he resumed active service in the 32nd Light Dragoons and on 20 April 1796 transferred to the 21st Light Dragoons, but he was again placed on half pay in 1798. He had risen in the army to be a major on 1 March 1794 and a lieutenant-colonel on 1 Jan. 1798. Smith was rescued from well-merited obscurity and probably from genteel poverty by the influence his brother William Sidney enjoyed with Lord Bathurst, the secretary of state for war and the colonies. In 1812 the recently appointed Bathurst was seeking “an Active and Efficient Officer” to replace Joseph Frederick Wallet DesBarres* as lieutenant governor of Prince Edward Island. By associating himself with James Bardin Palmer*, who had organized a political society known as the Loyal Electors, DesBarres had incurred the hostility of the chief justice, Cæsar Colclough*, and the powerful faction led by Charles Stewart* and Thomas Desbrisay*. He had also aroused the fears of the proprietorial lobby in Britain which saw the Loyal Electors as a dangerous radical movement. To alleviate these fears, and influenced by representations from the Island, Bathurst dismissed DesBarres and Palmer from office, transferred Colclough to Newfoundland, and commissioned Smith as the new lieutenant governor on 4 Aug. 1812. After a “most tempestuous Passage” across the Atlantic that took from 9 November to 29 December, Smith wintered in Halifax and spent the spring waiting for the navy to provide him with suitable transportation to the Island. On 24 July 1813 he finally assumed control of the government from William Townshend*, who had administered the colony since DesBarres’s departure on 5 Oct. 1812 and who predicted that Smith would find “a peaceable regular and . . . a well satisfied People.” But because Smith, fearful of American intentions, was already convinced that he was to be “exposed to the efforts of a crafty, active and enterprising Enemy,” he “hazarded the experiment of convening the General Assembly” in November 1813 with great reluctance. When the assembly ignored his requests for legislation, particularly for a revised militia act, he prorogued it on 13 Jan. 1814, declaring that it was controlled by “a Confederacy of a very dangerous description known by the name of ‘The Club’ . . . of which Mr. Palmer was & I believe is, the main spring.” Arguing that the local garrison, which he sought in vain to have placed under his command, was too small to maintain order, during 1814 and 1815 Smith attempted to reorganize the “most undisciplined” militia. When his authority to revise the militia regulations was challenged and a number of militia units refused to obey his orders during a parade on 2 Nov. 1815, he reacted angrily. He ordered George Wright*, a militia officer, to punish his men for insubordination; when Wright resigned his commission rather than do so, Smith tried to dismiss him from the Council. Smith also wished to dismiss the new chief justice, Thomas Tremlett*, for refusing to “do his Duty” in quelling the disturbance, and when Captain Charles Barrington, whom Smith had instructed “to have his ammunition ready,” would not use the regular troops against the militia, Smith placed him under arrest. Smith’s efforts were counterproductive. In 1816 Barrington was released and Sir John Coape Sherbrooke*, commander of the forces in the Atlantic region, reduced the local garrison from a company to a mere 22 men because of Smith’s tendency “to interfere unnecessarily with the Troops.” This action served merely to increase Smith’s fears. He compelled the militia to mount a permanent guard, winter and summer, outside the officers’ barracks, which he had sequestered upon his arrival for an official residence, and he repeatedly appealed, without success, for a larger garrison to protect him against threats that appear to have existed only in his own mind. Initially, Smith’s paranoia was directed against Palmer, whom he held responsible for the opposition to his militia reforms, and the members of Palmer’s “Diabolical Club,” whom Smith suspected were acting in unison with the disturbers of the peace in Ireland. On 27 Feb. 1816 Smith appointed William Johnston*, the attorney general, to the Council and in November, with Johnston’s assistance, he had Palmer removed from the roll of attorneys after a completely irregular trial in the Court of Chancery over which Smith, as chancellor, presided. Palmer departed for London to appeal for reinstatement, and during his absence, on 8 July 1817, Smith reconvened the assembly he had prorogued nearly four years earlier. On 14 August he again prorogued the assembly, claiming that “we have separated upon good terms.” But his decision not to assent to the lower house’s supply bill because it imposed a 22 per cent duty on British imports was the subject of a critical address by the next assembly, which met in November 1818 following the general elections held in September. Smith refused to receive the address and, when the assembly demanded that the chief justice, Tremlett, and the sheriff be dismissed from office for prosecuting delinquents who had not paid their quitrents, on 15 December he hurriedly sent his son-in-law John Edward Carmichael* to compel the house to adjourn. Less than a week earlier, during the evening of 9 December, one of Smith’s sons, Henry Bowyer Smith, had smashed a window of the assembly – whether by using his fists or by throwing snowballs is not clear – and two days after the house reassembled on 5 Jan. 1819 he was committed to jail under a warrant issued by the speaker, Angus Macaulay*. Smith prorogued the legislature the following afternoon, thereby freeing his son. Even though one may sympathize with Smith’s desire to destroy the monopoly of office enjoyed by a handful of families who had benefited handsomely from their positions, in practice he dispensed his patronage to an equally select group. Distrusting the Irish, the Scots, and the American-born, all Catholics and most Protestants, he favoured recent emigrants from England, members of the Church of England, and retired army officers like himself. By the end of his tenure the Island Council had become, as his critics alleged, a body lacking “weight and influence.” Moreover, while condemning the nepotism of others, he practised it himself; “though he might have prayed against temptation for he professes much religion, he has not been delivered from evil,” one of his critics declared. In 1816 he had tried unsuccessfully to appoint his son Henry Bowyer Smith collector of customs and in 1817 to secure for him the posts of naval officer and provost marshal. When Thomas Heath Haviland* received the latter appointments and applied for a leave of absence, Smith forced him to appoint Henry, who was not yet 19, as his deputy. 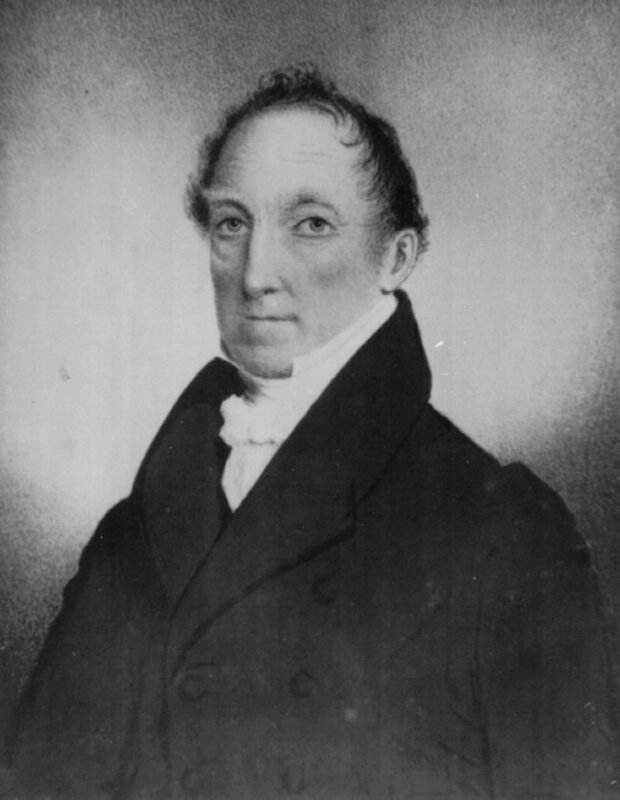 Smith’s son-in-law John Edward Carmichael would become acting receiver general of quitrents, colonial secretary, registrar, and clerk of the Council. Another son-in-law, Ambrose Lane, was appointed registrar and master of the Court of Chancery and was given a seat on the Council. John Spencer Smith became collector of impost and George Sidney Smith acted as his father’s private secretary. Towards the end of his career on Prince Edward Island, Smith became a recluse, surrounded by his relatives and a handful of sycophants. When he did venture into public view, he usually added to his list of enemies. He was arrogant, quick tempered, and vindictive. He possessed the typical prejudices of an English country gentlemen of the time but in an exaggerated form. Deploring “the despicable degeneracy of mind & manners that stigmatises the Yankey Tribes,” he refused to make land grants to anyone who had experienced “the degenerating effect of residence in those Regions of Rum & Rascality.” The Scottish Highlanders he dismissed as a people “whose want of Industry, Sobriety & Agricultural knowledge is so great that it is really wonderful how they have ever advanced towards Prosperity at all,” and he lamented the influence of the Roman Catholics and “Sectarists” on the Island. When the Catholics petitioned for the same rights possessed by their co-religionists in Quebec, Smith refused to forward the petition to London, and he was determined to enforce the laws which prevented clergymen who were not members of the Church of England from officiating at marriages. He selected for distribution to the Church of England the best plots of land available even when they were in the midst of settlements of Catholics and Presbyterians. Smith does seem to have been motivated by a sincere desire to advance the interests of the Church of England but he managed to antagonize the resident minister in Charlottetown, Theophilus Desbrisay*, and he quarrelled with the missionary sent to Georgetown by the Society for the Propagation of the Gospel. Even among his natural allies Smith was little loved. Smith’s clumsy efforts to deal with the land question on Prince Edward Island set in motion the events that ultimately led to his recall. To some extent Smith must be given credit for good intentions. He recognized that the colony’s development had been retarded by the failure of the proprietors of the large blocks of land, into which the Island had been divided in 1767, to fulfil the original terms of settlement, and he was determined to compel them to do so. In the beginning of 1818 he instituted escheat proceedings against lots 55 and 15, both of which were sparsely settled, and he was preparing to institute similar proceedings against Lot 52 when Lord Bathurst ordered him to desist. Bathurst, under pressure from the proprietorial lobby in Britain, announced in May 1818 that the original terms of the grants which required the land to be settled by foreign Protestants were not to be enforced and that the proprietors would be given ten years to settle their estates with the requisite number of tenants. If Bathurst had adhered to this decision, the absentee landlord problem would have been much alleviated, although not resolved, and Smith deserves some credit for acting as a catalyst. Yet Smith should not be lionized as an early proponent of a system of land reform designed to benefit an oppressed tenantry. 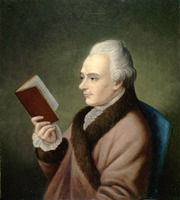 He believed in the proprietorial system and thought that tenants needed “the Stimulus of Rent, to compel them to exert Industry.” “The Non payment of Rents in general, The low price of Spirits, & the High Price of Labour, are,” he complained, “three very principal causes that retard the advancement of the Colony,” and he suggested that a number of troops be established on the Island to work at fixed rates and thus lower the price of labour. Smith’s original intention was to turn the tenants on Lot 55 into tenants of the crown, not to give them or their heirs freehold grants. Bathurst, however, decided that anyone who had occupied the land for 15 years should be given a grant subject only to the payment of quitrents, thereby establishing an important precedent that the land reformers of a later period would look back to [see William Cooper*]. By this decision Bathurst may also have earned for Smith more popularity among the tenantry than he deserved. 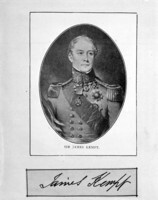 Smith was hampered in his policy by the absence of the receiver general of quitrents, John Stewart, and by the lack of instructions from Bathurst. In 1816 he had appointed Carmichael acting receiver general and Bathurst had announced that quitrents were to be collected, although not the arrears due prior to 1816, and that a new schedule of fees was to be established. For nearly two years Smith waited for further instructions but none came and early in 1818 he ordered Carmichael to begin collections at the old rate. This decision created an outcry among the absentee proprietors and contributed to the discontent demonstrated by the assembly when it met in November. Upon learning of Smith’s action Bathurst expressed “surprize and regret” but he also announced the new schedule of fees. No further effort was made to collect quitrents until June 1822 when Carmichael issued a notice asking that all arrears be paid in July. It was ignored and in December he issued another notice demanding payment by 14 Jan. 1823. When the demand was again ignored he suddenly instituted court proceedings against two of the resident proprietors, Donald McDonald and John Stewart. The tenants in the heavily populated eastern townships of Kings County, many of whom were Gaelic-speaking Highlanders, were then informed that unless they paid their quitrents promptly their property would be seized. A number of them trekked 50 to 70 miles across the Island to Charlottetown “with loads of wheat and such other produce” which they were forced to sell at low prices to Carmichael and his deputies. One man, it was claimed, “was compelled to part with his worsted mittens that he had worn on his journey” to raise money. If the affidavits later sworn are to be believed, Carmichael and his deputies treated the Highlanders with scant respect and even less sympathy. In February 1823 he obtained judgements in the Supreme Court against the small proprietors of some 40,000 acres in Kings County and, according to John Stewart, Smith’s “Sons and Sons in law . . . were as usual the principal purchasers.” This charge must be viewed with scepticism but there is little reason to doubt that Carmichael and his deputies profited handsomely for so diligently performing their duties. In fact, Smith’s fate was to be decided in London, not in the colony. All of Lord Bathurst’s instincts predisposed him to support Smith and for a time he continued to do so. When Smith announced that he was suspending William Johnston as attorney general for not supporting him during the trial, Bathurst approved of the decision, although Smith’s subsequent appointment of Palmer, who had represented Lane at those proceedings and to whom Smith turned in desperation, was less enthusiastically endorsed. In March 1824 James Stephen, the legal adviser to the Colonial Office, presented a lengthy report, based upon an exhaustive examination of the documents in London, which established that there was sufficient evidence of misconduct to justify Smith’s recall. It was this report, not Stewart’s influence at the Colonial Office and certainly not the influence of the absentee proprietors, which persuaded Bathurst that he must act. Reluctantly he asked Smith to resign, promising that if he could disprove the charges brought against him he would be given a pension of £500 per annum. Smith’s replacement, John Ready*, arrived to assume control of the administration on 21 Oct. 1824 and Smith departed on 12 November, reaching London in December. During 1825 he sought to rehabilitate himself and in January 1826 Stephen prepared a curiously ambiguous report which declared “that the charges of corruption, oppression and insolence, are satisfactorily repelled, but that he was guilty in his Office of indolence and of an implicit and heedless confidence in the various family connections whom he placed in situations of trust. It is manifest also, that he was either very poor, or very penurious, or both; and consequently very unpopular.” Smith was told that he would be given a pension out of the revenues derived from the collection of quitrents on Prince Edward Island, but since little was collected during the next two years he was reduced to dire straits and bombarded the Colonial Office with letters appealing for his pension. In 1829 Sir William Sidney Smith again came to his brother’s aid and the government agreed to place Smith’s pension on the annual estimates voted by the British parliament for the administration of Prince Edward Island. Fortunately for Smith, the Duke of Wellington’s government was able to carry out this promise in 1830 before the Whigs came to power and until his death at his home in Devon in 1855 Smith continued to draw his pension of £500 from the British Treasury. Significantly, during the transition to responsible government on the Island in the early 1850s, when the colony was asked to assume responsibility for paying the various expenses previously defrayed by the British parliament [see George Coles*], the one item that Lord Grey, the colonial secretary, did not ask the colonial government to pay was Smith’s pension. In The government of Prince Edward Island, Frank MacKinnon describes Smith as “the worst Governor in the history of the province.” There are so many examples of wilful wrongdoing by the early governors of Prince Edward Island that it is difficult to decide whether Smith merits this distinction. Certainly he was less overtly corrupt than some of his predecessors and in his efforts to resolve the land question and collect quitrents he appears to have been motivated, at least in part, by honourable intentions rather than by a desire to acquire land on the cheap. Much of the criticism directed against him was exaggerated and was motivated by self-interest. None the less, he was guilty of abusing his authority and of bringing the Island to the verge of an open rebellion in 1823 by the way in which he conducted proceedings in the Court of Chancery. The excessive zeal he showed in finding employment for his large family was perhaps excusable since it was typical of the age in which he lived. But the evidence is overwhelming that he exercised little control over his relatives and that they exercised little restraint in their efforts to exact as much profit from their positions as the law allowed. In May 1824 Judge Brenton Halliburton, who had been deputed to investigate the complaints made against the Court of Chancery, prepared a report condemning Ambrose Lane for breaking the spirit, if not the letter, of the law by exacting excessive fees. Since Smith benefited from the same fee structure, he was as guilty as Lane of abusing his authority. In fact, Smith treated the Island as if it were a large country estate and its people as if they were his tenants. His achievements were negligible. He tackled the land question but in such a clumsy way that he provided the proprietors with additional reasons to argue that they were justified in not living up to their commitments because of the misgovernment of the Island, and thus he may have delayed a more substantial reform of the landholding system. By treating the colonial assembly with scant respect he encouraged that body to demand the same control over public revenues possessed by the assemblies on the mainland, and during the crisis of 1823 he probably brought into the political arena popular forces that had previously been quiescent. But these were not his intentions and it is hard to avoid the conclusion that he was a man of limited intelligence and slight ability who ought never to have been appointed. Perhaps Prince Edward Islanders may take some consolation from the fact that for nearly 30 years the British Treasury was saddled with the responsibility of paying for that error in judgement. PAC, MG 40, B17: 76–77 (transcripts); RG 7, G7, 12: ff.9–42. PAPEI, RG 5, Minutes, 1812–24 (mfm. at PAC). PRO, CO 226/26: 13–17, 79, 81; 226/27: 5–5A, 10–11, 31–32, 35–37, 45–46, 117–18; 226/29: 3–5, 45–48, 57–60, 67–77, 80–85, 95–97, 109–10, 347–49; 226/30: 9–16, 18–21, 42–49, 54–63, 114–20, 128–49; 226/31: 5–6, 34–52, 60–61, 88–89, 109–11, 119–21, 126–29, 156–59; 226/32: 7–10, 17–18, 28, 52–57, 68–69, 74–75, 113–15, 135–36, 167–70, 194; 226/33: 19–22; 226/34: 13–19, 29–30, 57–60, 146, 160–61, 174; 226/35: 3–4, 15–17, 33–77, 158–59, 166–67, 255–56, 265–66, 304–42, 350–51, 408–9; 226/36: 52–54, 60–61; 226/37: 5–8, 11–13; 226/39: 11–13, 19–20, 26–28, 143–46, 153–61, 163–66, 184–85, 191–97, 232–45, 286–87; 226/40: 58, 130, 170, 184–85, 191–205, 232–34; 226/41: 5–34, 89–125, 168–73, 188–95, 233–50, 323–42, 421–54; 226/43: 10, 177–80; 226/44; 226/45: 151–54; 226/46: 200–1, 219–20, 223–35; 226/47: 243; CO 227/7: 55–56, 60, 63, 69–75, 77–78, 110–17. SRO, GD45/3/27A/229–35. USPG, C/CAN/NS, 4: 163i (mfm. at PAC). Gentleman’s Magazine, January–June 1855: 444. [Edward Howard], Memoirs of Admiral Sir Sidney Smith, K.C.B., &c. (2v., London, 1839), 1: 5–10, 17, 367–68; 2: 352. John MacGregor, Historical and descriptive sketches of the Maritime colonies of British America (London, 1828; repr. East Ardsley, Eng., and New York, 1968), 65–66, 92–95. Petitions from Prince Edward Island . . . (London, ). P.E.I., House of Assembly, Journal. Examiner (Charlottetown), 2 April 1855. Prince Edward Island Register, 13 Sept., 4, 11, 25 Oct., 1, 8, 15 Nov. 1823; 3, 17, 24 Jan., 6 March, 24 July, 24 Oct. 1824. G.B., Parl., House of Commons, Members of Parliament (2v., London, 1878), 2: 218; WO, Army list, 1777–1807. John Barrow, The life and correspondence of Admiral Sir William Sidney Smith, G.C.B. (2v., London, 1848), 1: 3–5; 2: 82–84. Duncan Campbell, History of Prince Edward Island (Charlottetown, 1875; repr. Belleville, Ont., 1972), 61–71. Canada’s smallest prov. (Bolger), 84–94. Frank MacKinnon, The government of Prince Edward Island (Toronto, 1951). MacNutt, Atlantic prov. E. F. L. Russell, Knight of the sword: the life and letters of Admiral Sir William Sidney Smith, G.C.B. (London, 1964). D. C. Harvey, “The Loyal Electors,” RSC Trans., 3rd ser., 24 (1930), sect.ii: 101–10. Phillip Buckner, “SMITH, CHARLES DOUGLASS,” in Dictionary of Canadian Biography, vol. 8, University of Toronto/Université Laval, 2003–, accessed April 21, 2019, http://www.biographi.ca/en/bio/smith_charles_douglass_8E.html.